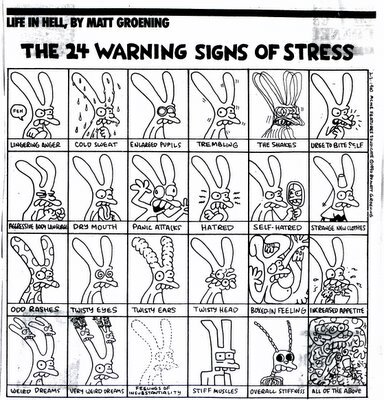 Before the Simpsons, there was Life in Hell. I was processing some old boxes of miscellaneus items and came across these cartoons I have saved after all these years. The other will be posted later. Click on the image for a larger view. When I was in high school I would drive every Thursday night into the Lakeview neighborhood and pick up a Chicago Reader. There were three things I was looking for. Firstly, I sent in typed up 3×5 cards to the “Personals” section under various aliases with what a teenager considered witty quotes and banter such as “A woman begins by loving love and ends up loving a man. A man begins by loving a woman and ends up loving love.” Secondly, I religiously read News of the Weird. 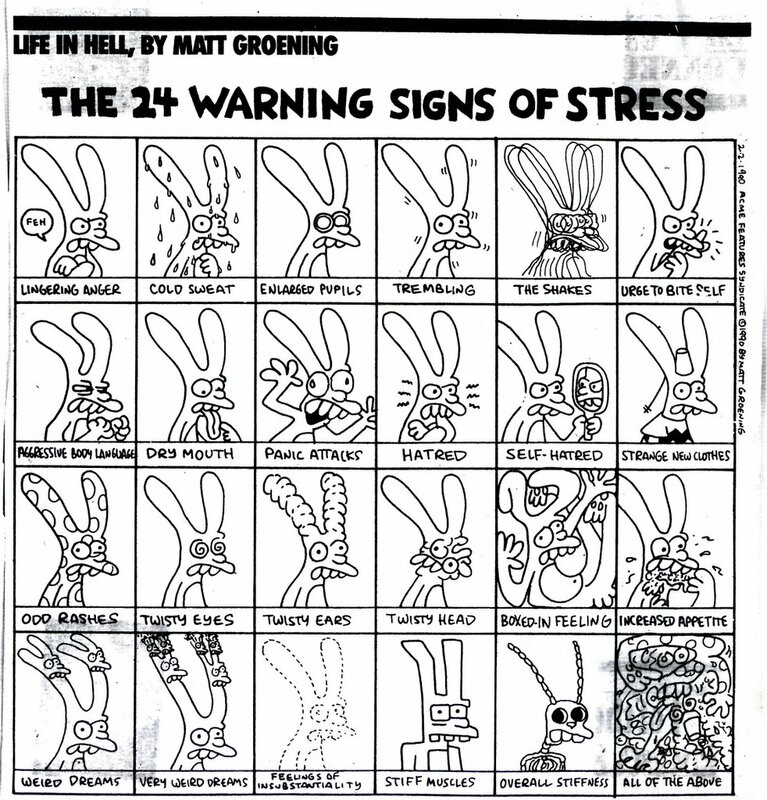 Lastly, I read Life in Hell. As with the Simpsons, it is a social commentary, but more on a personal relation level. I found this one appropriate for the stress created by the holidaze. Work is crazy with people wanting stuff before the end of the year. There are various holiday parties to prepare for and attend. Then there is the gift foraging. Next one will be about work when we return after the holidaze. ~ by Frank on December 19, 2005. I see you staring at my head. Rhyms are hard to think of. and if you dont think so you are wrong-go. Damn, I screwed up the quote. It has now been corrected and makes more sense. The one in the personals (click on the link) is still wrong. I’m surprised at how popular this post has been. Two other blogs have posted it on their pages. If I had known that would have happened, I would have cleaned off the tape marks. Thanks Paolo, I hadn’t heard that before. Yup, got ’em all. Do I win something? Vila, good to hear from you. #4 on your list is really the only prize I could offer. Maybe a drink at the next YULblog, or at the secret meetings of the splinter cell. afrizalrcom (@Ichank… on Why Structural Engineering?